‘Boats in a storm’ by H. Paulides. Lithograph by Hendrik Paulides, signed HP and dated ’24 lower right, etching. Hendrik Paulides, born in Utrecht in 1892, was a pupil of the Rijksacademie in Amsterdam. Visited Indonesia for the first time in 1922. 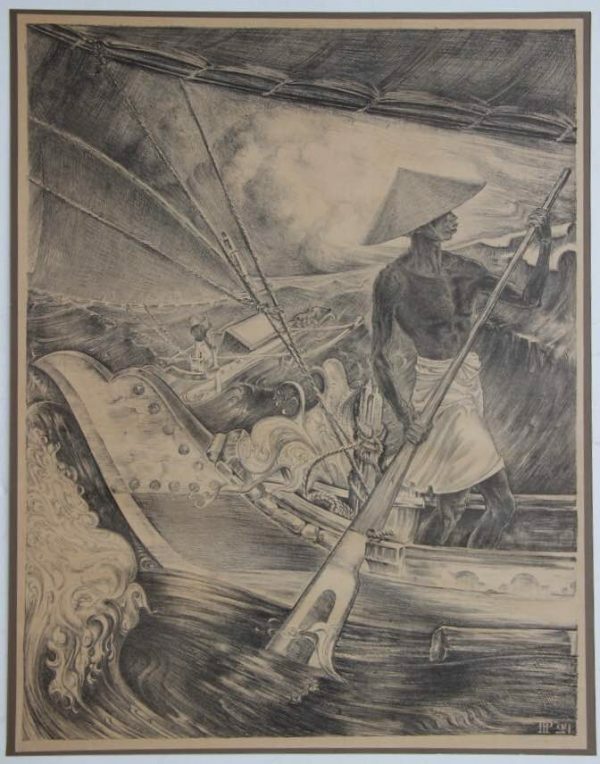 In 1929 he visited Indonesia again and travelled to Java and Bali. Made murals for the Paris World Fair in 1937. Died in Amsterdam in 1967. Perfect condition, 57 x 44 cm.